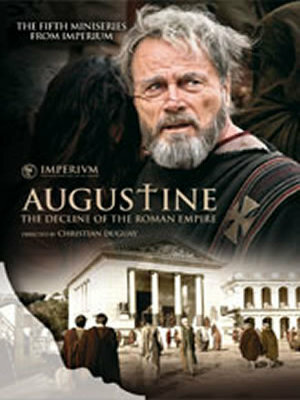 In 430 AD, in the besieged city of Hippo, the seventy year-old bishop Augustine tells Jovinus, a captain of the Roman guards, the story of how his Christian mother, Monica, saved him. Born in the North African city of Thagaste, Augustine studied in Carthage, becoming an accomplished but dissolute orator. After converting to Manichaeism, a guiltfree religion, he was called to the imperial court in Milan to serve as an opponent to the Christian bishop Ambrose. But when the Empress Justina ends imperial guards to clear out a basilica where Augustine’s own mother is worshipping, he is won over to Christianity.